I first got into making freezer meals after my first daughter was born in 2009. I froze lasagna and mac ‘n cheese for upcoming holidays and birthday parties, and they made my life so much less stressful. Instead of being stuck in the kitchen, I could have fun with my family and friends. Before my second daughter was born, I froze two week’s worth of meals. It was amazing to have healthy, homemade meals on-hand while I was bonding with the newest member of our family. 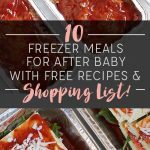 I was starting to think there was something to these freezer meals for new moms. 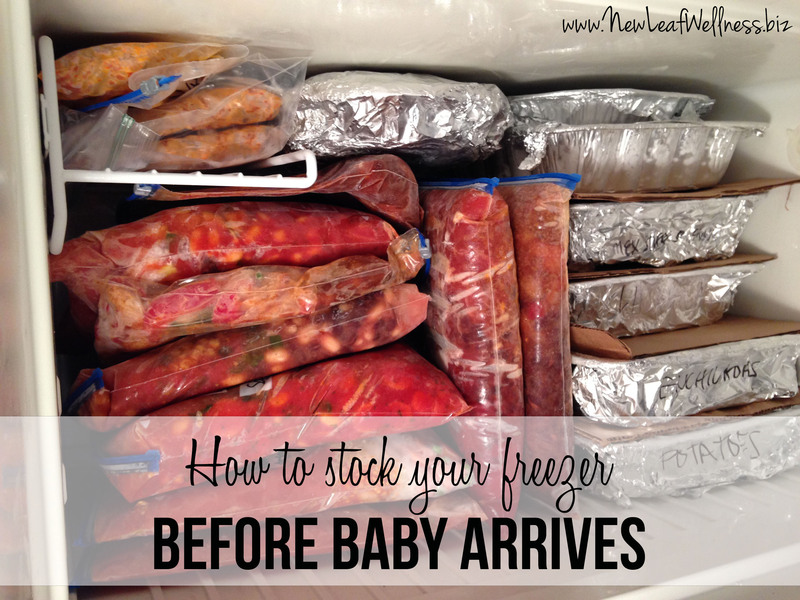 Fast-forward to today, and my two freezers were STOCKED 27 freezer meals to enjoy after my third baby’s birth. I’m not talking about leftover soup that was frozen in little plastic bags, either. Most of my freezer meals will cook for the very first time out of my freezer, so they won’t taste like leftovers at all. Curious how it works? Read on! I started with a list of meals that I wanted to freeze. My wedding soup and spiced carrot muffins also freeze great, but I had to draw the line somewhere. Meals #26 and #27 came from a wonderful friend who dropped off containers of her vegetarian chili and chickpea and rice stew. I’m so excited to try them! At 32 weeks preggo, I started freezing meals. Most freezer meals will last in a standard freezer for up to 3 months so I figured I would be safe to slowly start freezing meals at that point. I started planning one or two dinners per week from my freezer meal list. One of my favorite ways to stock my freezer is to double a recipe and make one for dinner and the one for my freezer. 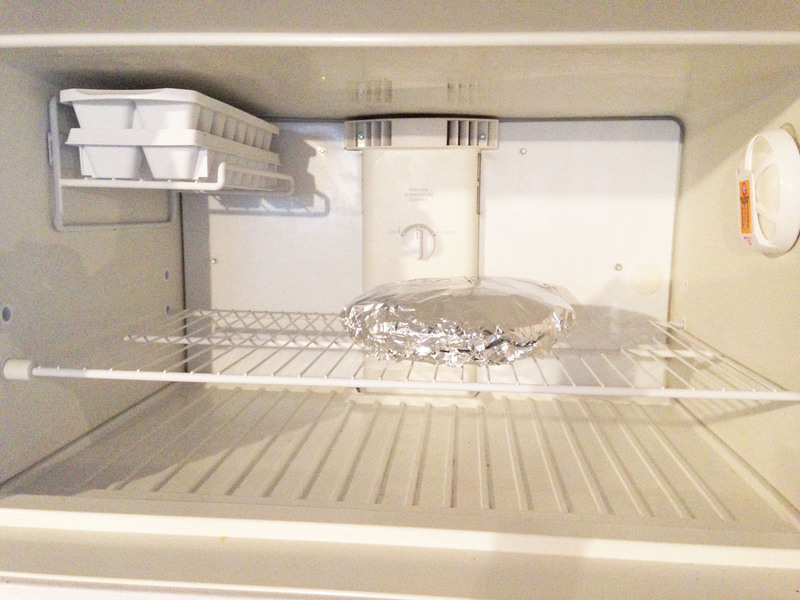 My pre-baby freezer meals started with one, lone chicken pot pie. Over the next six weeks, I added lasagna roll-ups, chicken pesto calzones, macaroni and cheese, shepherd’s pie, and Mexican stuffed shells. I purposefully picked more time-intensive recipes for these days and saved the “no cook” recipes for a big freezer day with my mom. 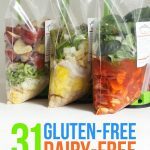 At 38 weeks pregnant, I got together on a Saturday with my mom and prepped 16 “no cook” freezer meals. 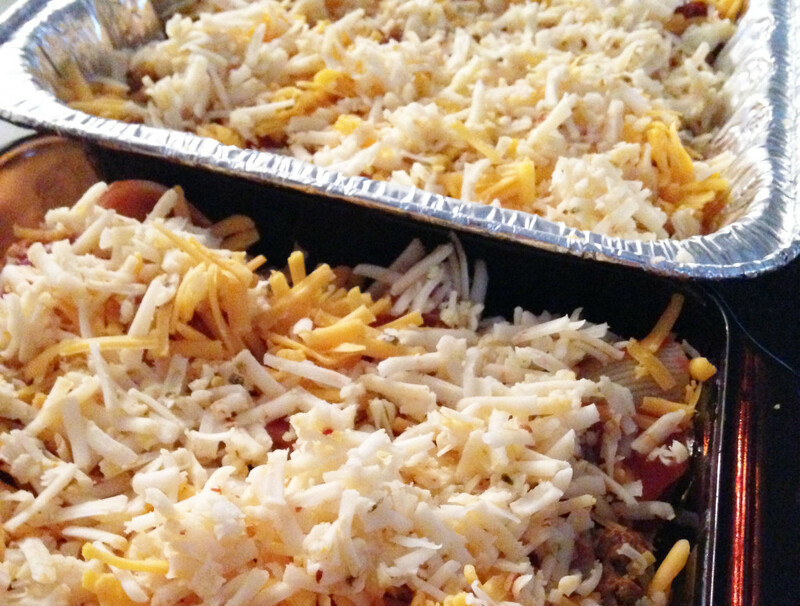 Since some of my freezer meals aren’t complete meals, I stocked up on side dishes for my freezer and pantry. And, just like that, we were set. I’d love to hear your thoughts! 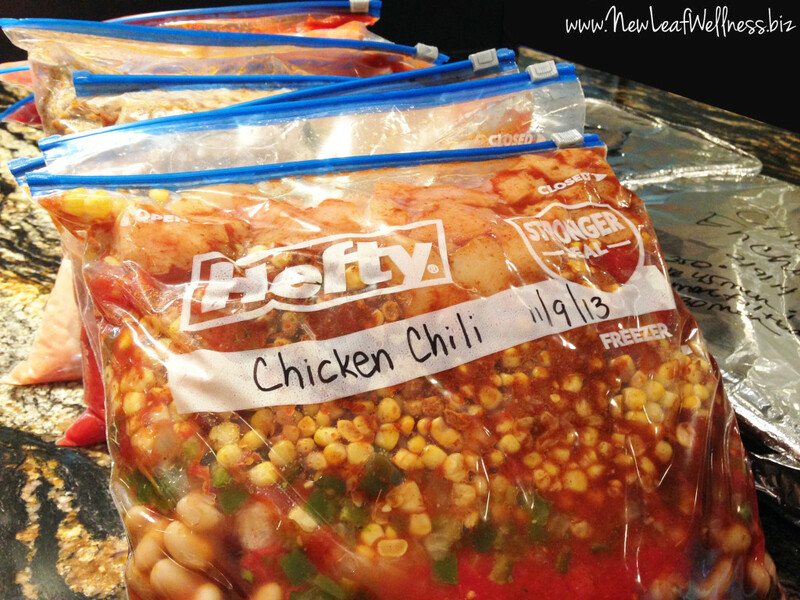 Have you ever considered stocking your freezer with homemade meals? Leave a comment below! Very true! I love so many of the Once a Month Meals recipes. Thanks for sharing! Thank you so much for your comment and encouragement. Six months of meals is FANTASTIC! I find that I become more organized with the addition of each baby, so I can imagine how helpful preparing for a fifth child would be. Thank you for the work you do to support moms! Awesome! Best wishes for the rest of your pregnancy and birth. 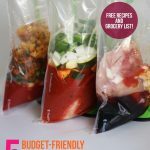 I think you’ll LOVE having freezer meals on-hand, especially if the final cooking step happens after freezing! Great tips! Wish I had learned about this before I had my baby! This is great! Thank you! Please advise how you froze and then reheated the macaroni cheese? I’m tried it before and found the pasta was stodgy and dry. Any tips? My online advice is to try my recipe. I’ve frozen it tons of times and it’s great!! Just make sure to cool everything to room temp before freezing.